YOU are always invited to attend our services! obedient! Obedient to the gospel, to the Truth. -------- a non-believer is considered DISOBEDIENT! -- something to get around! JESUS and his Word are VERY Precious! only on special occasions if at all!" you were to treat it with respect. got up in the synagogue and taught. WOW! to have the respect they needed to have. works there. Why? Because of their unbelief! reverence of him to get what they needed! JESUS HAS GOT TO BE PRECIOUS TO US! Just recently I preached a message about the moon. 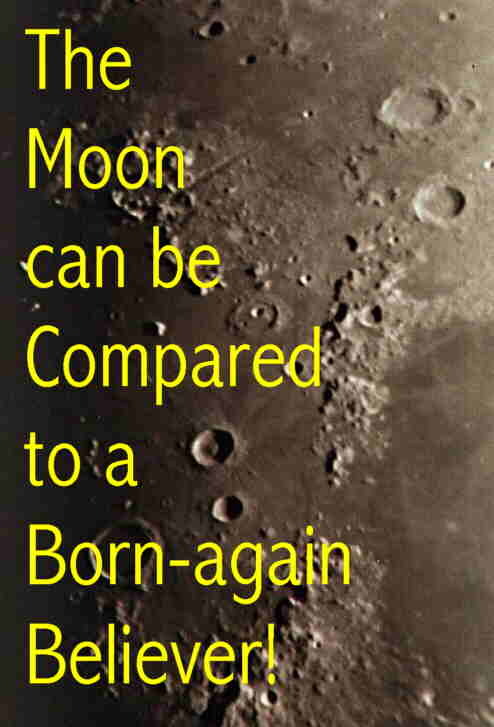 In some ways the moon can be typified as a Believer. gets light during a month! same face to this world -- and that is the light of Jesus. and glory come from the Sun! must do --- Reflect the Son! Let Jesus be seen! Be a faithful witness! when the earth passes between the Sun and the Moon! Jesus! -- if that happens we cease to reflect Jesus!